she asked for another one! This time, the color choice was (once again) on the blue hues. The construction of beaded charms is fully explained in the multi-tutorial post here. 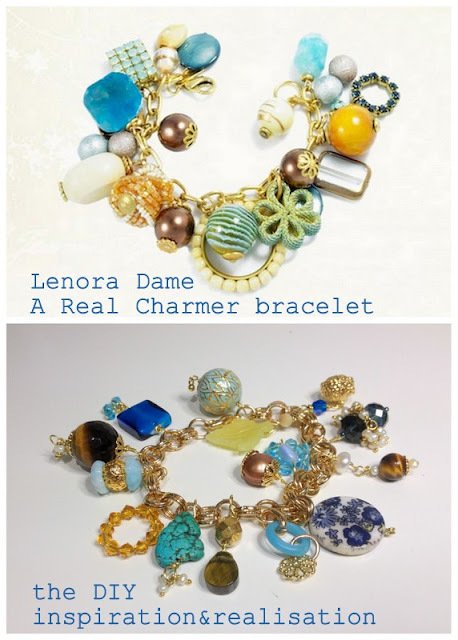 these bracelets are perfect to use up all your leftover beads: in fact I mostly used beads that I had only one or two from my stash. I used a gold plated bracelet that I had, but it's just a chain with a clasp.. 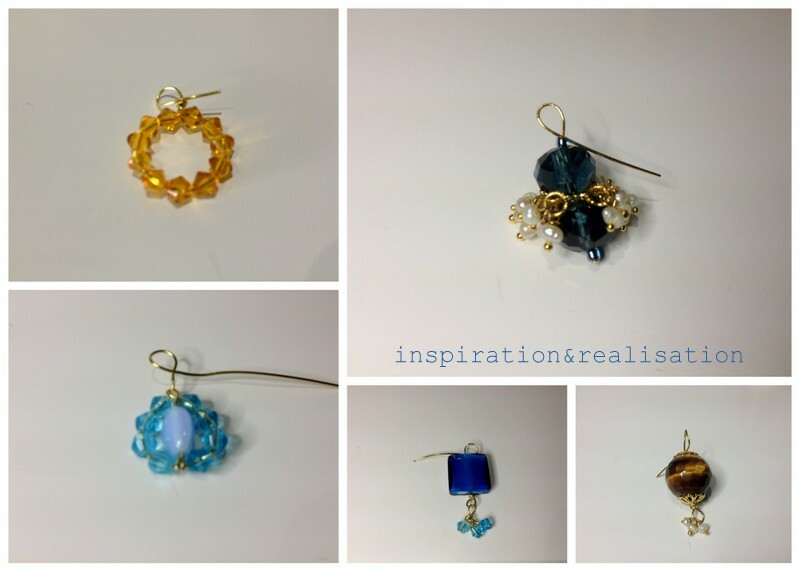 I used several bicone Swarovski 5mm beads (leftover from these "previously seen" bracelets) - I love to buy assorted items because you don't always need a tons of beads of the same color, and these assorted lots are normally a good deal. Beautiful, I just made a charming necklace, with all the charms & other trinkets I have accumulated over the years. I LOVE your creative mind!! I'm a craftaholic, and have just finished making a bracelet from another one of your post, I'm going to make this one now!!! I was dionosed with MS a while ago, so it takes me a lot longer when even I'm working with wire wrapping any of my beads, but it's really good therapy for my hands too!